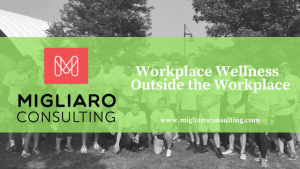 Does your company have an existing workplace wellness program? What does it look like? Wellness days, biometric screenings, lunch & learn workshops? Have you ever considered hosting a workplace wellness event outside the workplace? Yes that’s right, companies are doing this all across the country and it’s yielding positive results. This idea is easy to orchestrate and we do it all the time. We’ve built relationships with many local organizations so we can make it easy for the you to connect. The next time you are considering a workplace wellness event, consider thinking outside the workplace itself. Give us a call and let us do the work for you!